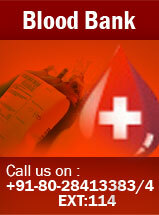 Our mission is to provide world – class health care to the people at affordable cost. The Vydehi Institute of Nephro – Urology will provide top- notch services in Nephrology,Dialysis and Renal transplant. Well – equipped Haemodialysis unit with the most advanced unit with the most advanced dialysis machines. Haemodialysis in critical care units for patients on ventilators and other critically ill patients.